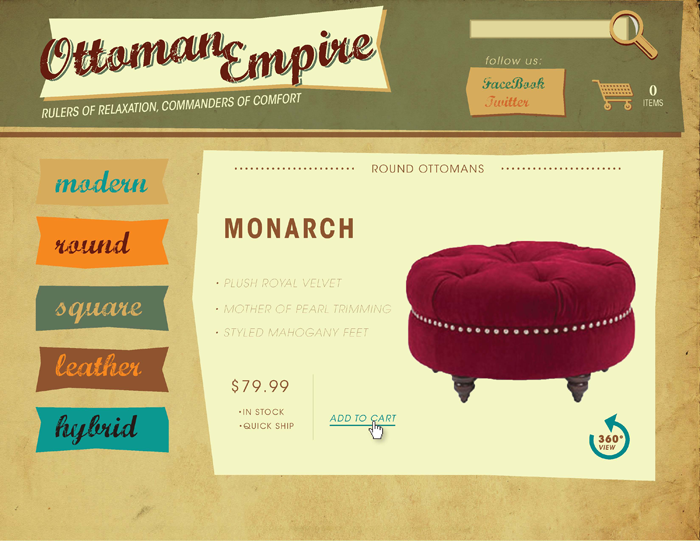 For this project, the theme was furniture and the goal was to create a retro look for the site. 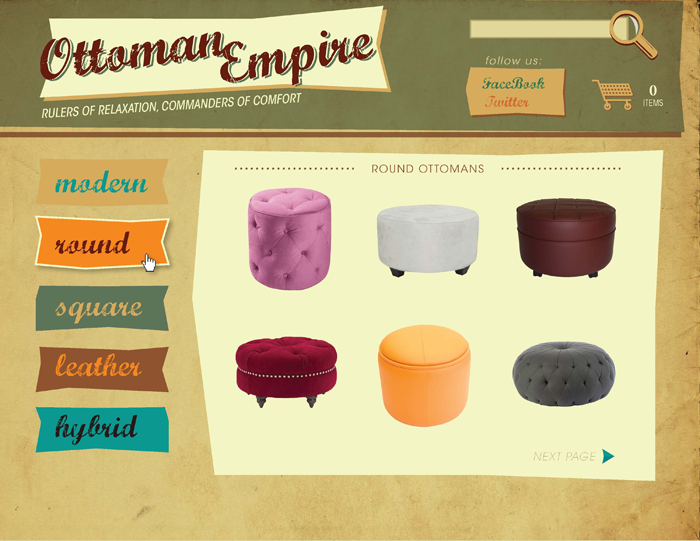 The company name, Ottoman Empire, has a tongue-in-cheek flare to it, which called for a quirky design treatment. Interesting shapes and background textures were used to add depth and character to the site design.